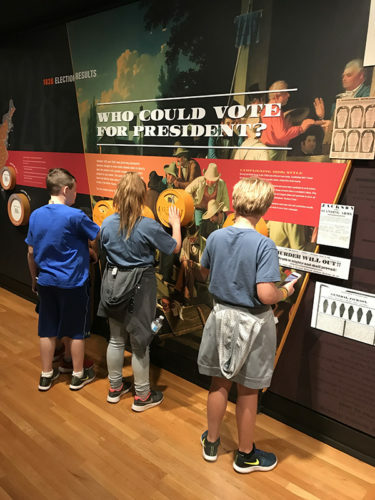 4th and 5th grade students from the FUSE program had a wonderful trip to the Hermitage, home of President Andrew Jackson. 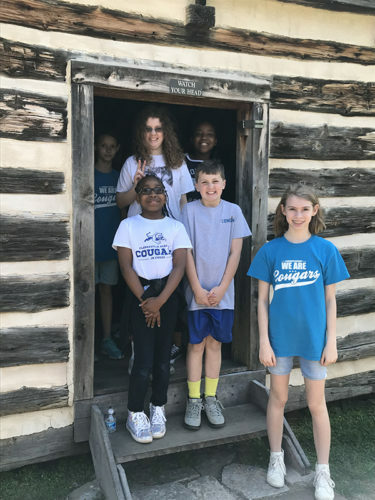 Students toured the plantation grounds, mansion, and museum exhibits. 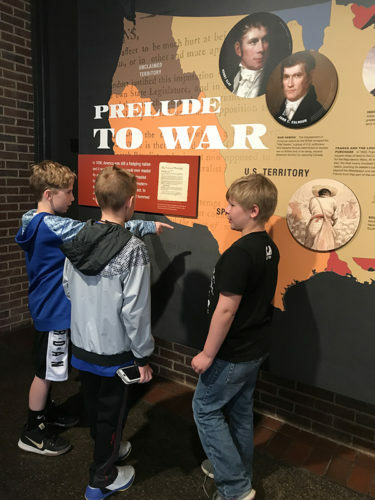 They also participated in a hands-on history class, where they evaluated items used in the past. 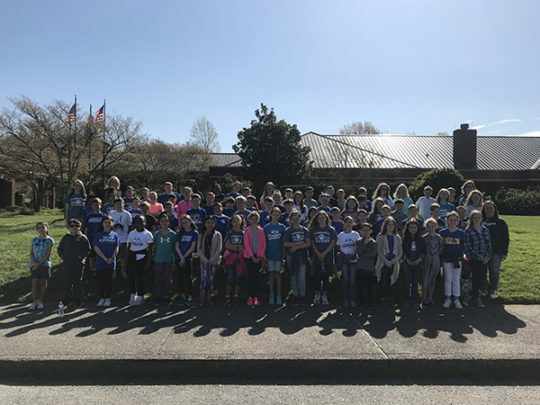 The beautiful weather made for a perfect day learning about America’s history! 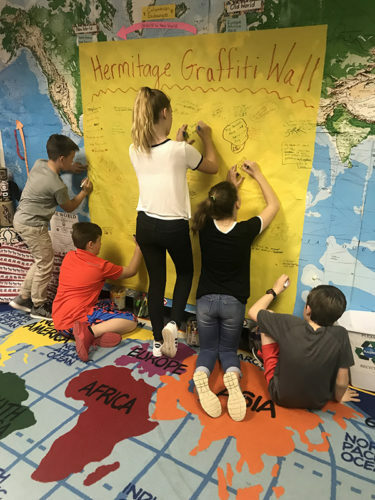 4th and 5th grade FUSE Social Studies students wrote reflections on their class graffiti wall about their field trip to The Hermitage. 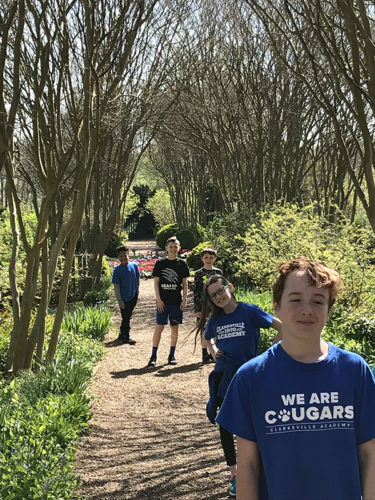 Students noted their favorite parts of the trip, the most interesting things they learned, things they found to be surprising, and things they would like to know more about. 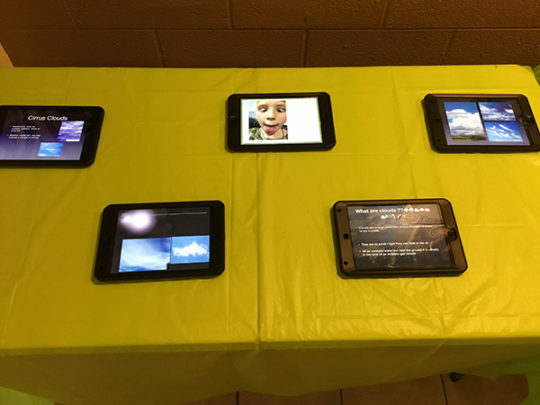 Fifth grade FUSE science students created children’s books about a planet of their choice. 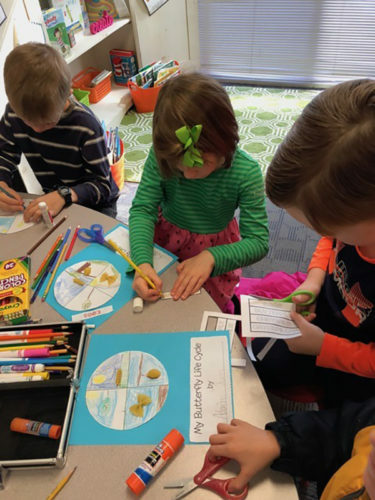 Students researched facts about their planet to include in their fictional story before completing a story map and storyboards. 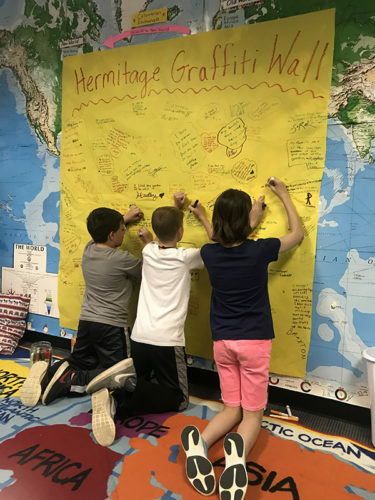 They shared their finished products during a “gallery walk” in class. 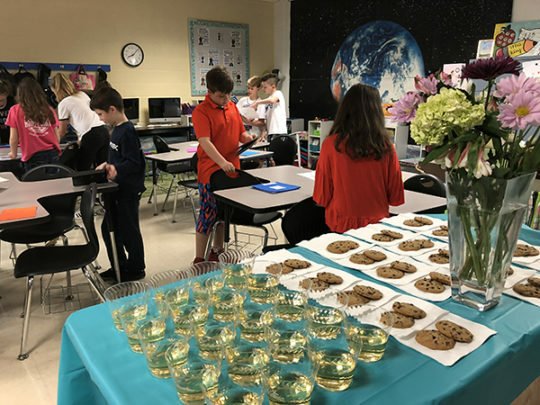 We were so proud of our lower school students and their hard work at Steak Dinner! 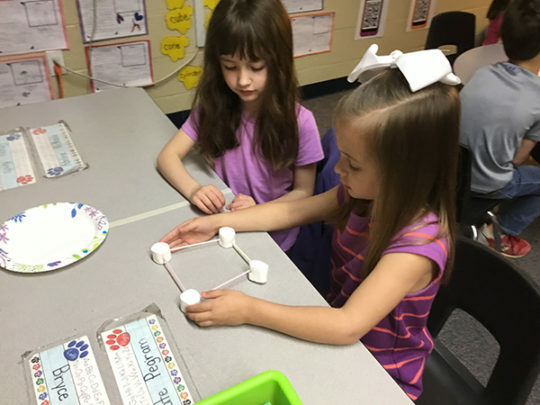 Mrs. Samuels’ class applied what they have been studying about 3-D objects in class by creating a cube with coffee straws and large marshmallows. They worked as a team to build a large cube together, making sure to have 8 vertices and 6 flat surfaces. After the groups were successful each student built a mini version using toothpicks and mini marshmallows. 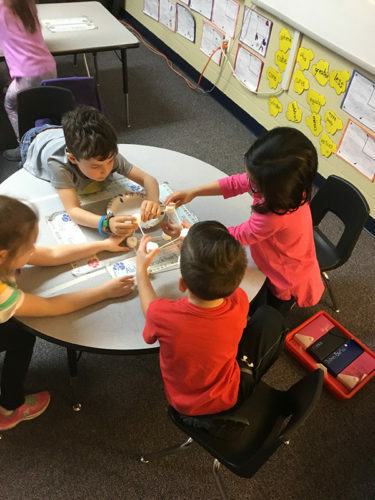 All the students agreed that the team work cube was easier because they had more hands to help support the sides when putting the top on the cube. Next week we will begin our study of measurement. 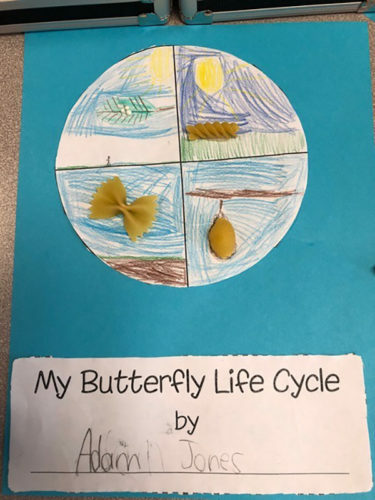 First Grade had a great time learning about the life cycle of a butterfly. Our reading story for the week was “A Butterfly Grows”. 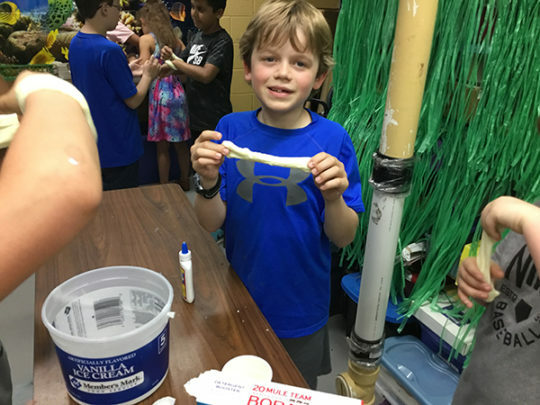 Students created the different stages of the life cycle using noodles. Each class participated in a directed drawing to create a unique butterfly. 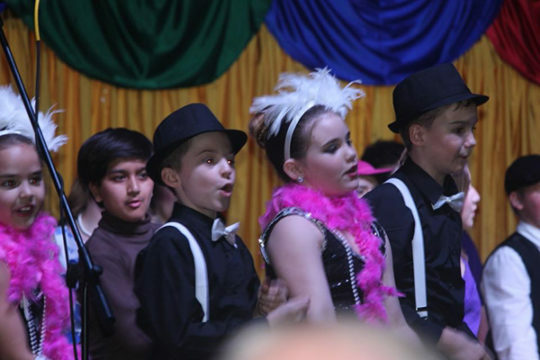 To go along with their drawing, students wrote a cinquain poem composed of five lines that do not rhyme. The drawings and poems look fantastic in our hallway display. Make sure you take a look! 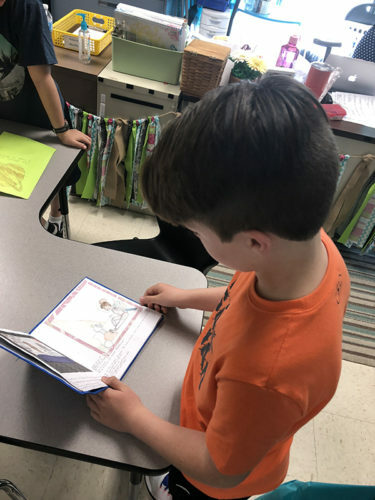 Throughout the week, second grade students reviewed the parts of speech. 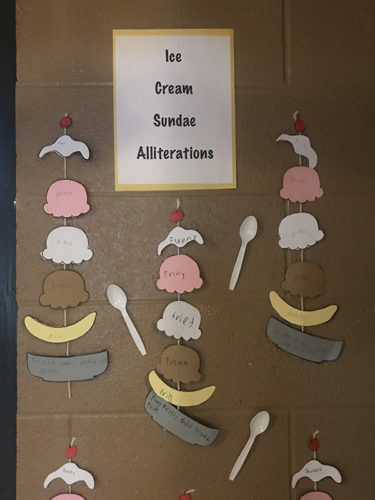 The students created an alliteration using 1 verb, 2 adjectives, and 2 nouns. 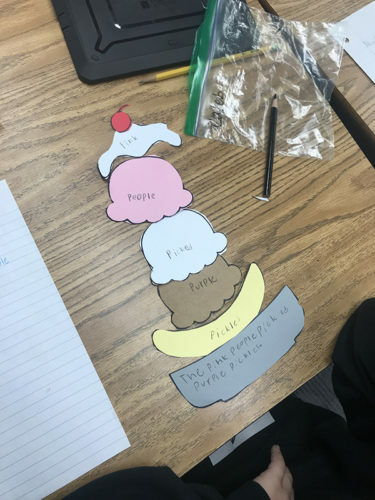 They created a sweet display as they wrote their alliteration on an ice cream sundae. Third graders investigated Matter and experimented with “semi solids”. 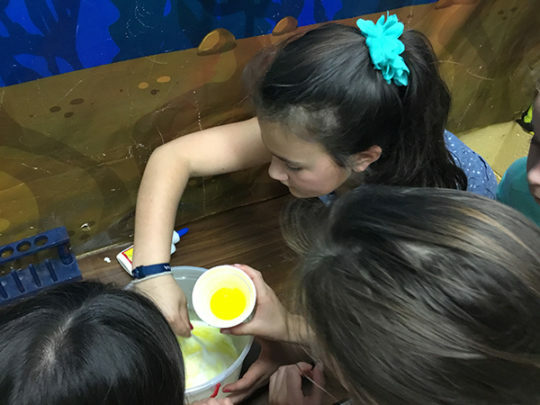 They created slime, mixing glue, water, and a borax solution. We discussed states of matter, and physical properties of matter. 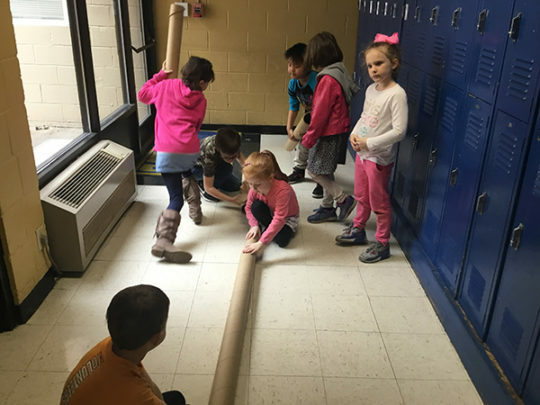 First graders investigate Force and Motion, experimenting with How can we change the way objects move? 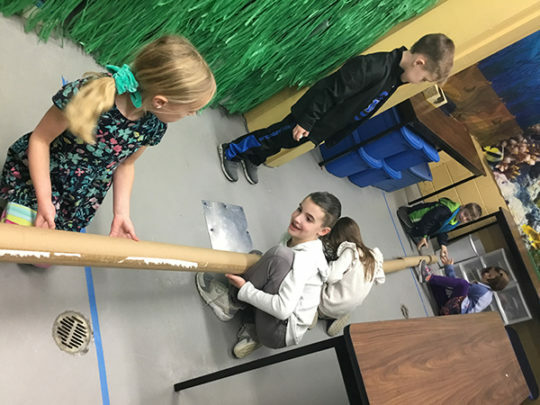 Students engineered a design constructed of mailing tubes. We used the tubes to determine directional flow of objects. Students QUICKLY realized that adding an incline increases speed. We discussed mass, and it’s effect on speed, as we compared speed times of golf balls and whiffle balls. 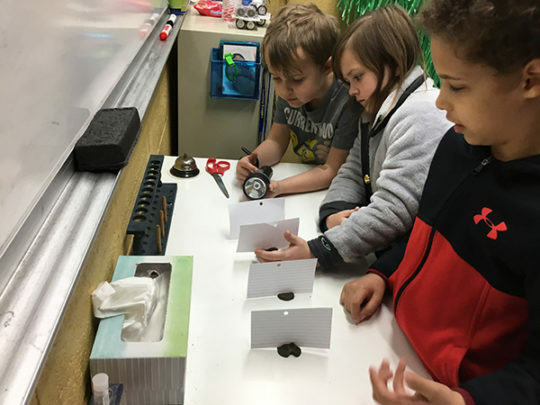 Continuing their study of Energy, second grade investigates how light travels. 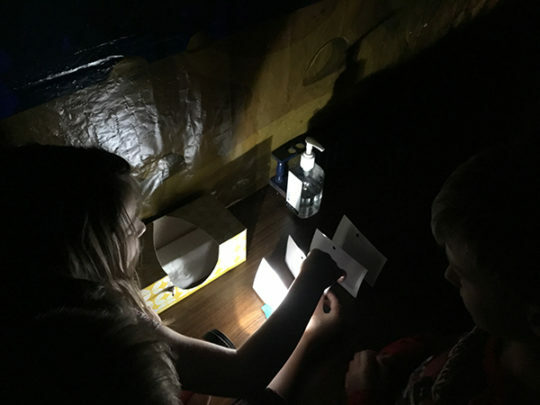 To demonstrate that light travels in a straight line, students punched holes in index cards. Aligning the holes, with straws, they were able to create a pathway for light to travel. We also investigated materials that were transparent and opaque. 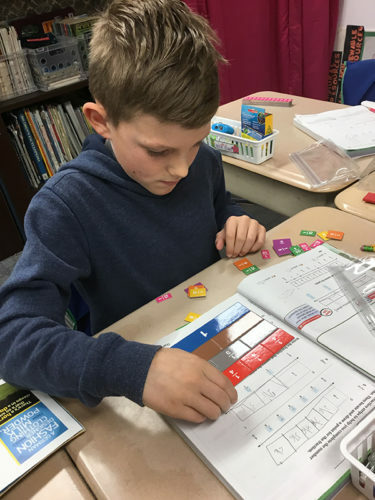 Students have been learning about fractions using multiple strategies. 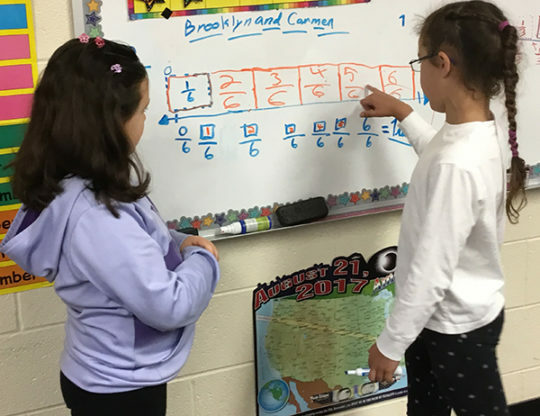 Students used hands-on fraction pieces, fraction drawings/labels using different shapes, representing fractions on a number line, and completion of board problems individually and in partners. 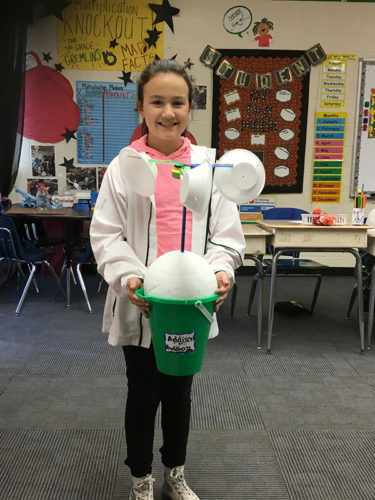 Students learned about Weather and Clouds using a variety of strategies. 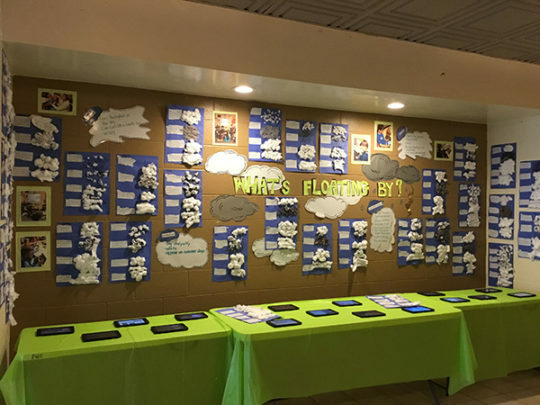 Students created weather instrument flip books, tracked weather data, created Cloud types keynote presentations and made Cloud types posters illustrated with cotton balls. 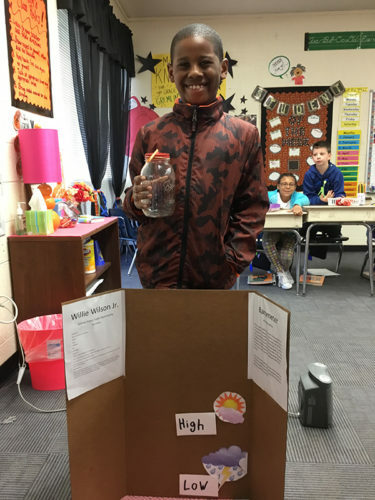 Students wrapped up their studies and received extra credit by creating their own weather instruments.